While EU businesses must now comply with GDPR, the majority of American based organizations are unaware of the preparation it takes to be compliant with the new privacy laws that are slowly becoming the norm. California has adopted a law similar to GDPR called the California Consumer Privacy Act, set to take effect on January 1st, 2020. 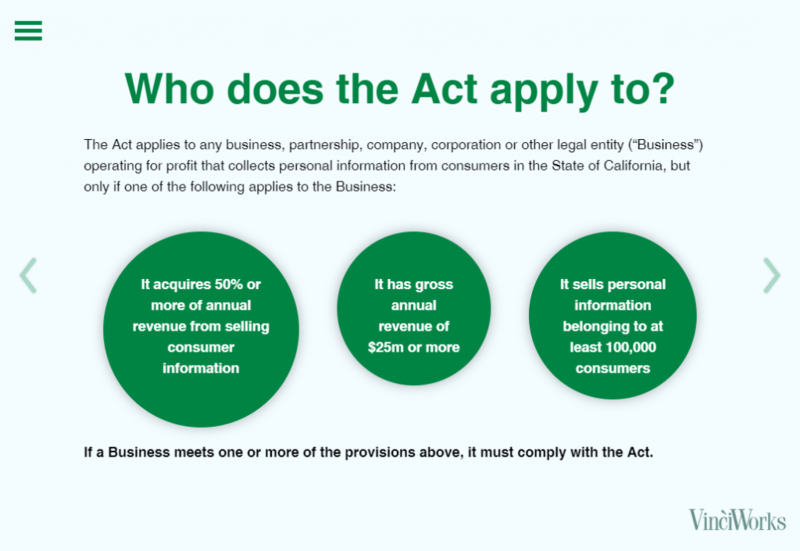 Our California Consumer Privacy Act whitepaper goes into more detail about the Act and how it can affect your business. Who does the California Consumer Privacy Act apply to? If you meet one or more of the provisions above, your business must comply with the California Consumer Privacy Act. The California Consumer Privacy Act is California legislature. However, it pertains to any organization worldwide that does business in the State. The State of California is viewed as a trailblazer when it comes to regulations regarding technology and privacy, oftentimes with other states following suit. Additionally, California has the world’s fifth biggest global economy which necessitates that organizations will have to prepare for data protection changes in order to stay relevant – and in business. VinciWorks has created an interactive course to provide an overview of the requirements of the California Consumer Privacy Act. 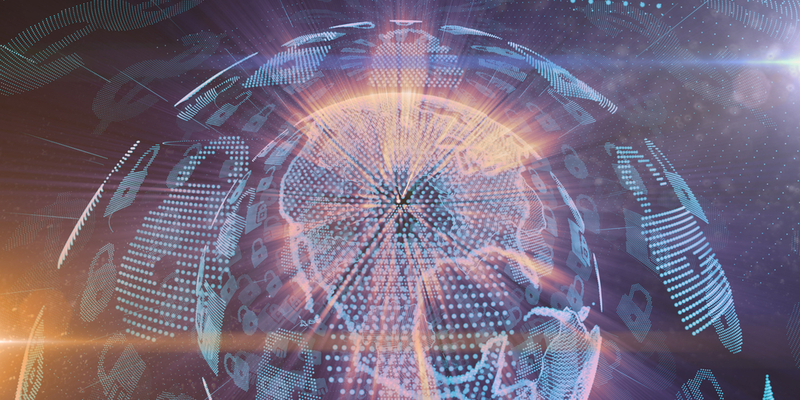 This entry was posted in Thought leadership, US Privacy on 1st April 2019 by VinciWorks.